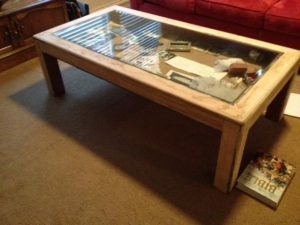 Coffee tables embedded with shadow boxes are quite different from regular center tables as they have enough display space. With a glass top, the items kept inside do not collect dust making it more convenient to maintain the table. 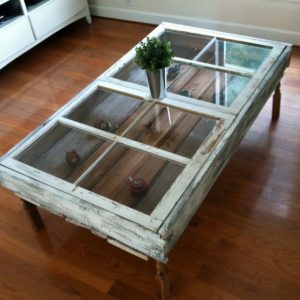 Let’s get started with some amazing DIY projects that will transform old junk into prized possessions. This vibrant coffee table with a shadow case provides ample space for keeping bullets and bullet casings. Placing dividers inside the shadow box gives you the scope to organize the accessories in one place. 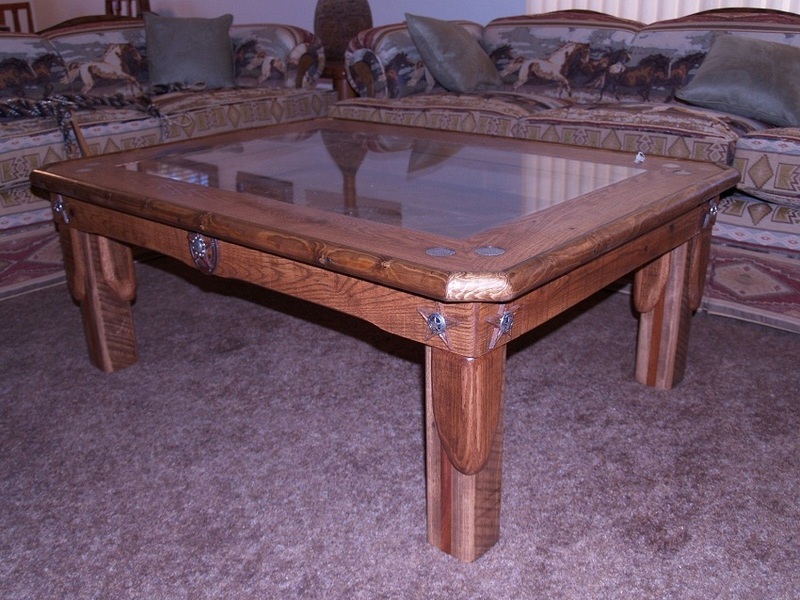 With a neat and modern finish, the table is sure to add a lot of charm to your interiors. 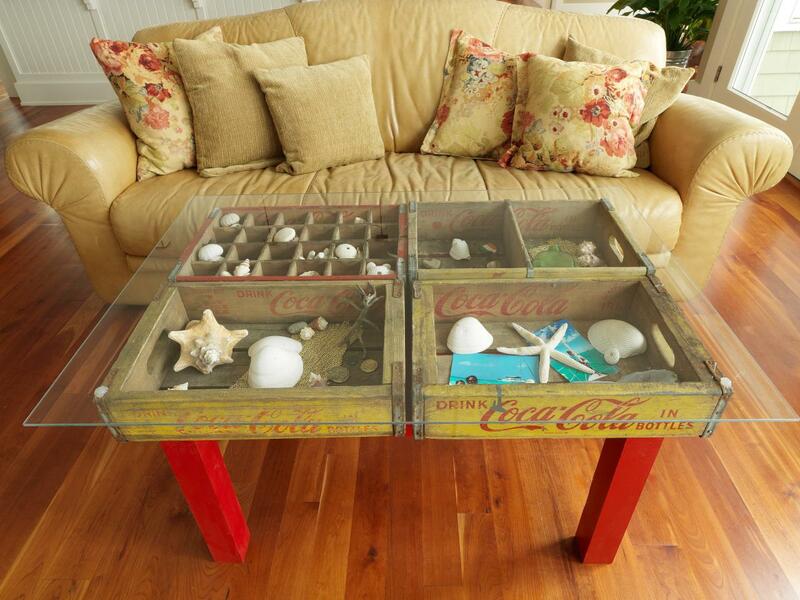 Made from reclaimed soda boxes, this rustic piece of furniture displays all your treasured collectibles. 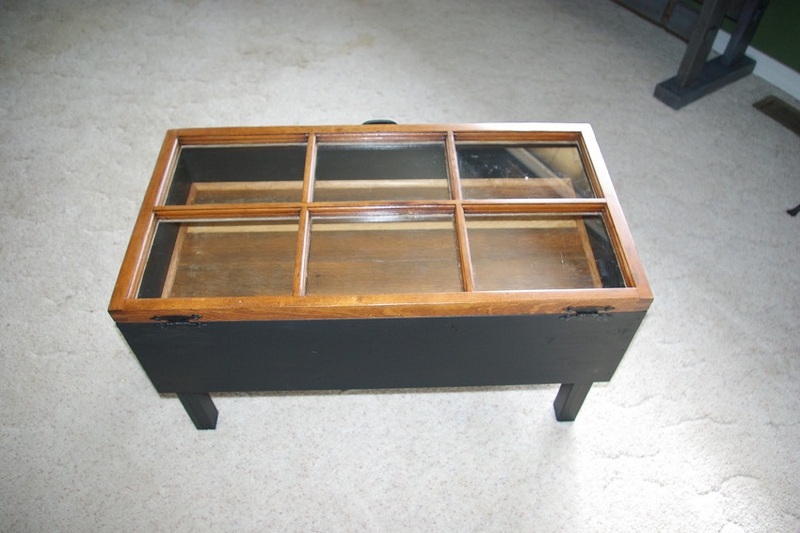 Sand and stain the shadow case followed by coating with a durable waterproof paint. With an understated elegance, this multipurpose table goes well with every decorating style while preserving your books, showpieces, and mementos. Another party-ready coffee table that is easy to decorate with seashells, colorful pebbles, and pretty coasters topped with a nice-looking flower vase. 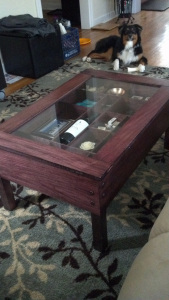 From screwdrivers to spades, here is a shadow box coffee table that helps you with storage issues. 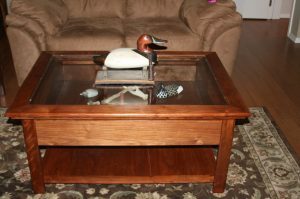 As creativity has no limits, you can derive inspiration from the following designs to make your shadow box coffee table a novel piece of art. You are free to take your pick. 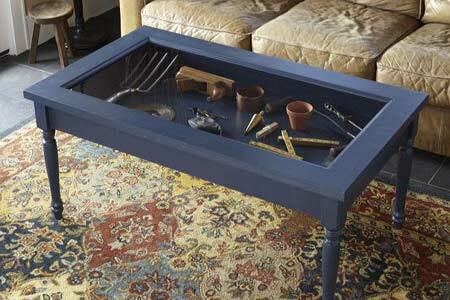 Frame some of your vintage collections with this contemporary shadow case table. While you enjoy a cup of coffee in luxury, your tiring feet can rest on the table. An incredibly appealing coffee table simply made from a recycled window pane. Keep it free from scratches by giving a long-lasting finish. A great idea for building a shadow box table from reclaimed wooden planks and glass panes. 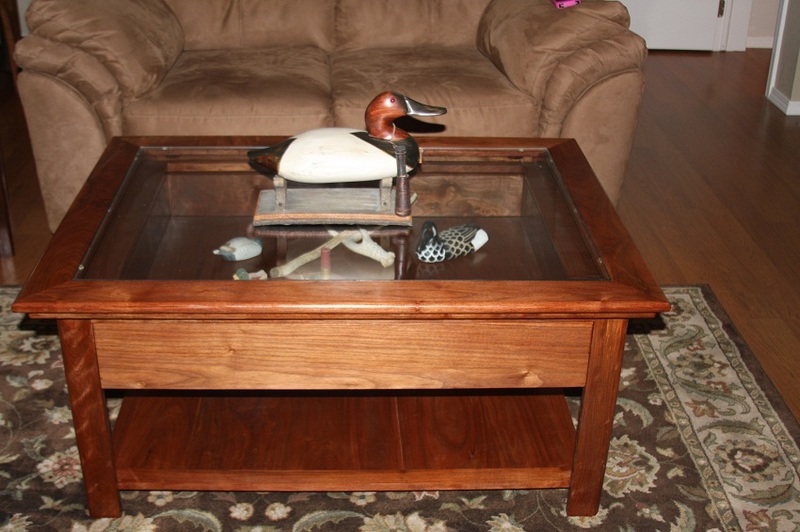 Make this robust fitment a part of your living space for showcasing valuable items. 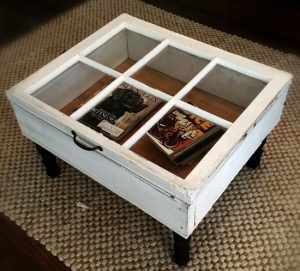 If browsing through books and magazines is your favorite pass time, then this newly built square box-like coffee table would come handy. 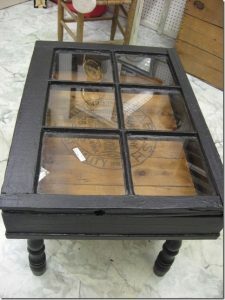 Use the small metal handle to pull up the glass top and take your pick whenever you are in a mood to read. 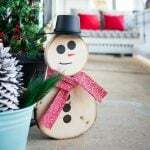 Fill the shadow box with memorable family photos to make an awe-inspiring collage out of recycled wooden boards. 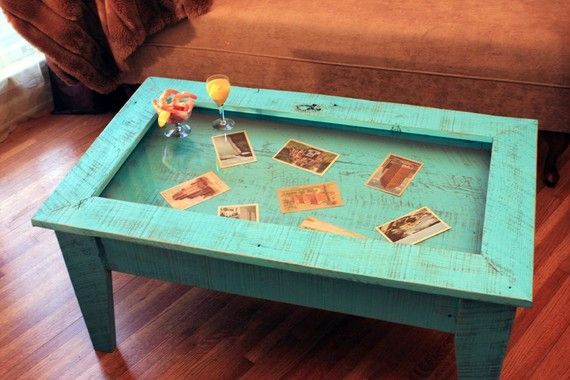 The rugged look of the table has a nostalgic side. 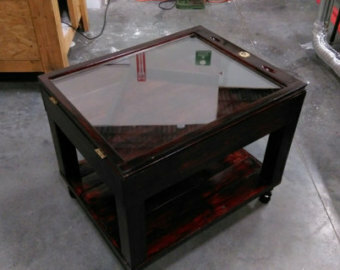 A tasteful addition to your drawing room, this hand-built robust table will surely draw compliments from your guests. 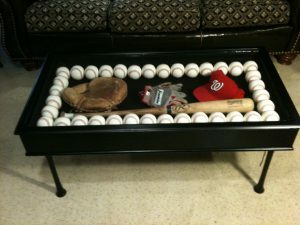 Fanatic baseball players now have a unique yet stylish storage space for keeping their valuable sports goods. 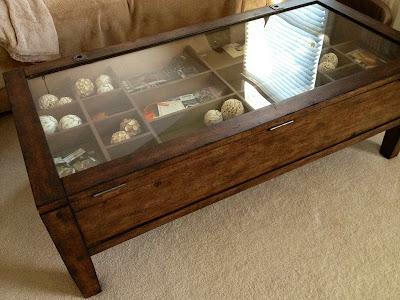 Classy and gorgeous, adding a handle to the table makes it easier to move the items in and out of the box. 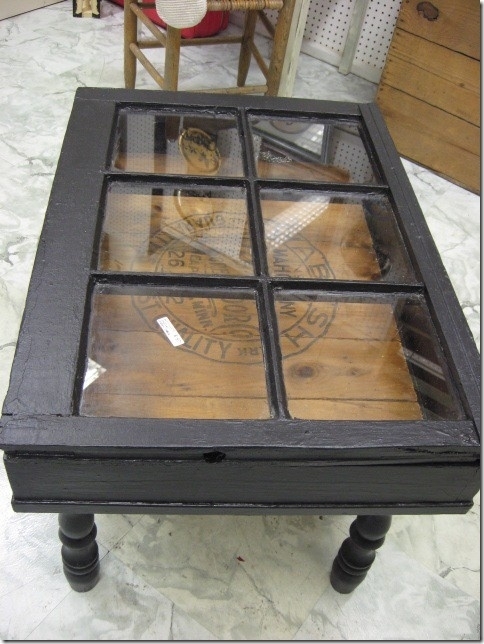 This one is the perfect accent for your living room with an industrial finish. 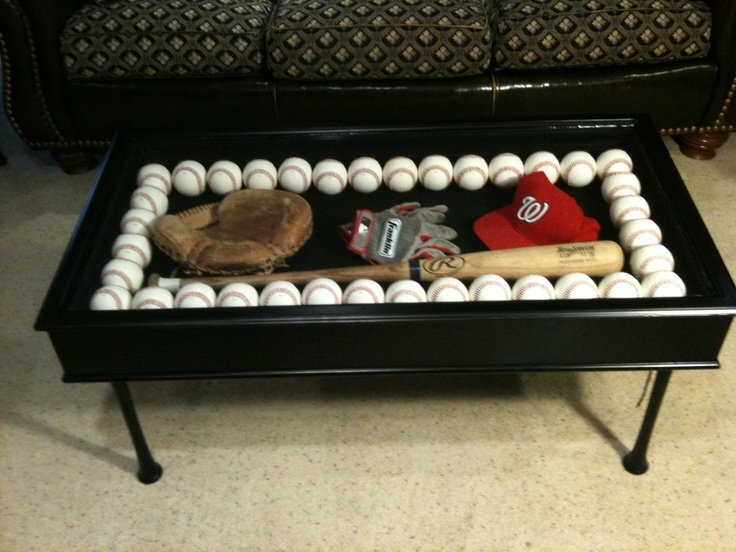 Take advantage of the interior space to display decorative items. 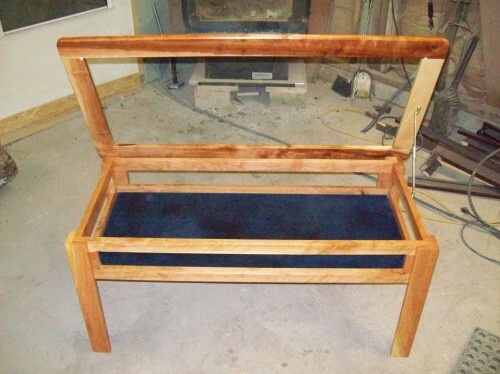 Making such impressive wooden furniture is a good way of recycling old stuff. 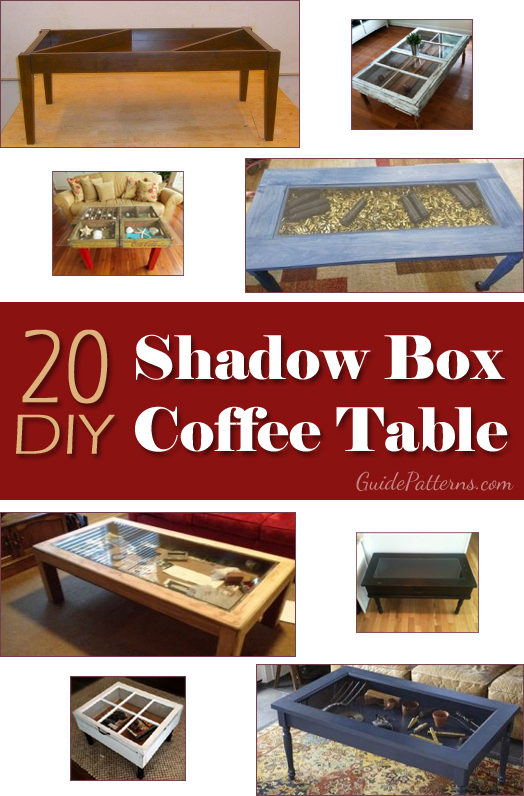 Pay a visit to a thrift store and grab all the supplies to build a chic and useful shadow box coffee table. 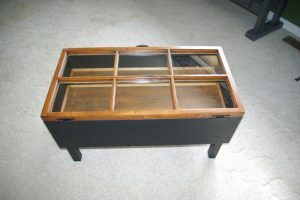 How do I download the instructions for making the Window Pane Shadow Case Coffee Table? There are no instructions as such. You can draw inspirations from the image. 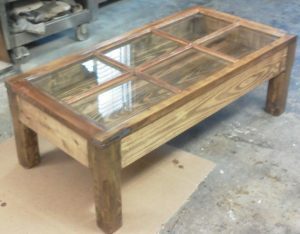 It actually seemed like it was a DIY for glass coffee tables. 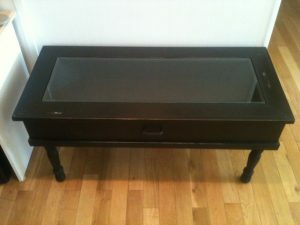 When in fact it was only a gallery of pictures of glass coffee tables. I would say click bate, but it seems the author didn’t know, that if you put “DIY” it means you are going to actually teach people step by step on how to make the thing. 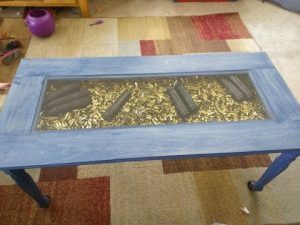 You need to click on the bold headings above the images to get redirected to the websites having the tutorials or DIYs. There is NOTHING TO CLICK ON! Nothing is clickable except for the pictures, which gives you a bigger picture of the table. I’m with these people. This is a worthless post. Really, rest your feet on a glass table? 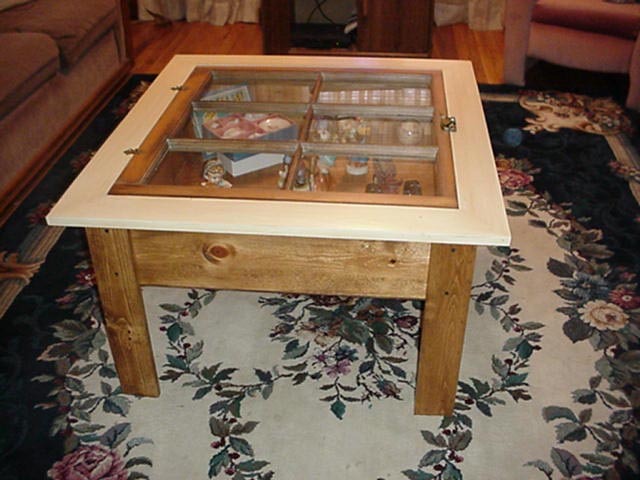 It may be because you are looking at the shadow box coffee table ideas. That section only has pictures with just a few hints for making them that serve as inspiration. The first six images, excluding the collage, have green, bold headings above them that can be clicked to go to the respective tutorials.